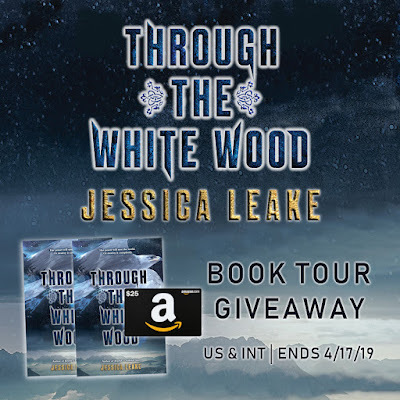 Through the White Wood: a Fantasy Romance with a Giveaway! Hi everyone! I am so excited to share my latest book, Through the White Wood, with you. I have always loved Russian folktales—there’s just something about such fantastical (and often creepy) characters set against a winter backdrop of snow and towering trees that I’ve always found so compelling. . .
"TTWW is the kind of book that keeps you wanting more in the best ways possible. " G: Speaking of the psychology of characters, we discover early on that Katya isn’t the only one in the book with powers, so how do you choose which powers belong to whom? And does that have anything to do with their personalities at all? J: It does have a lot to do with their personalities. The reason I chose earth for Grigory is a bit of a spoiler, so I won’t mention it here, but Ivan has the power to negate others’ abilities because he’s sort of the “protector” of the group. For Boris, I thought it would be funny for this guy who loves cooking so much to be a fearsome fighter with superhuman strength. And Kharan was just made for the assassin/spy role. "A story of friendship, magic, romance, and danger, Through the White Wood is fast-paced, engaging, and fun. I love how Leake pulled me into the story and made me care about these characters and what would happen. 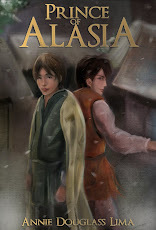 It’s definitely an enjoyable read, and I highly recommend it to fantasy lovers." "I thoroughly enjoyed this story from beginning to end! With the rich setting, magical aspects, character development, a motley crew, and romance, there's not much more readers can ask for. I'm looking forward to more from this author!" "Katya and Sasha are each so fun to read about, and I loved seeing them face the challenges and dangers in this story. Giving some strong ‘Ice Queen/Frozen’ vibes, but I loved the classic inspirations used in this story, and really enjoyed the direction Jessica takes [in] this one!" "Jessica Leake did it again! Through the White Wood is absolutely amazing. This woman knows how to write. If you have not picked up her books, you totally should. She brings such a rich tale to her readers. I just can't get enough." There are countless monsters in this world. Some with fangs, some who skitter in the darkness just out of sight, some who wear human skin but whose hearts have turned dark as forest shadows. And as my fellow villagers dragged me, bound by rough rope, from the cellar of the elder, I knew that these men and women I’d grown up with—they thought of me as a monster, too. I wasn’t sure they were wrong. "Through the White Wood was a beautifully written story with rich descriptions, a strong heroine and a storyline that is bound to sweep you away. . . . This story was thought-provoking and enchanting, keeping me entertained until the very last page. 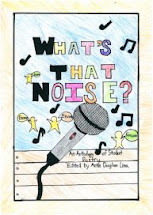 Ms. Leake is a very talented writer and I can’t wait to see what she comes up with next." 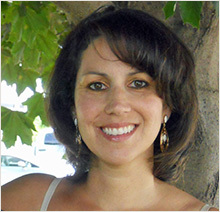 "In this impactful return to Jessica Leake's imagination, prepare yourself for a journey. . . . Through the White Wood upheld the integrity of Russian and Slavic folklore through Leake's narrative interpretation that transports readers to a time where legends flourished among men and magic was a means of unlocking the greatest triumphs of the human spirit. . . . this outstanding read must have a reserved spot on your reading corner." "I enjoyed Through the White Wood! 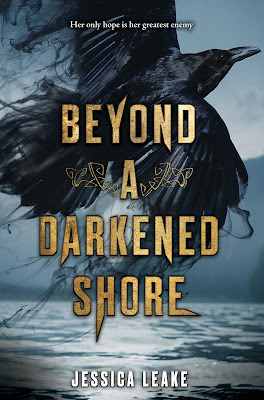 I liked seeing Katya’s constant struggle of whether or not she’s a monster and her journey to discover who she is. . . . Jessica Leake’s latest novel is a solid story for those who enjoy a slower-paced book with historical and folklore elements woven together." ". . . 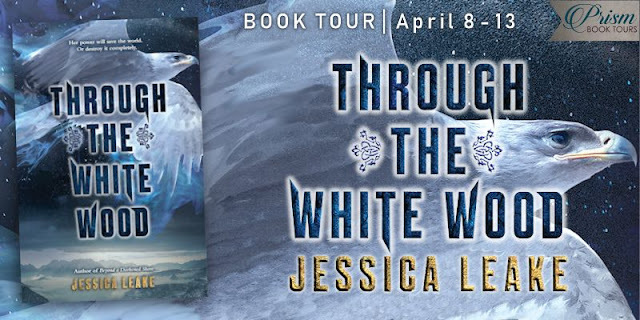 I enjoyed Through the White Wood. . . . now that I know that Jessica Leake excels at world-building and folklore-researching. . ."
"It is a read full of magic, romance, and friendships. I adored the folklore and just wanted more. I look forward to seeing what else Leake has in store." Then, without another word, he climbed into the driver’s seat, gathered the reins, and pulled us away from the only home I’d ever known, of a prince they said was a monster. But then, they said I was one, too. I promised myself I wouldn’t look back, but I did it anyway, squinting through the snow at the thirty-seven villagers who silently watched me leave. It was easy to note the ones who were missing. While the ones who remained stared at me accusingly, I reached down to rub at my wrists where the ropes had once bound them. ". 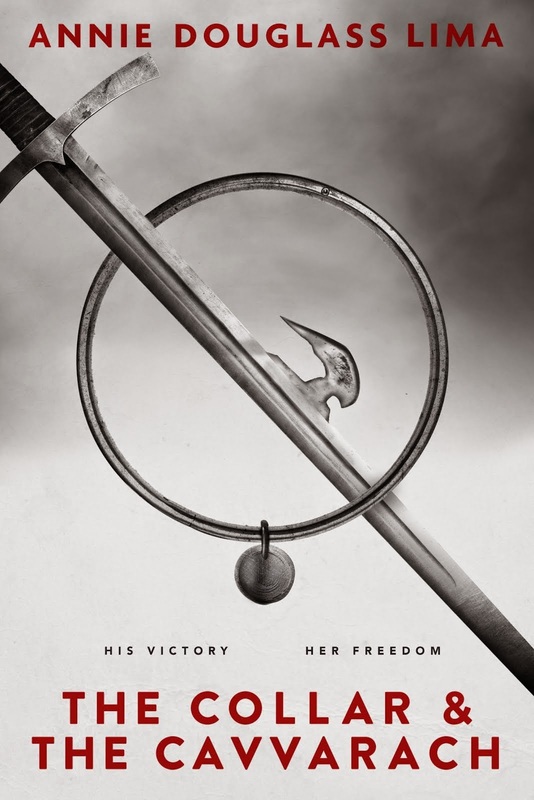 . . this was an engaging and fascinating read that consumed my YA fantasy-loving heart. This book is great for lovers of magic, YA fantasy and adventure, and fairytale retellings. I would definitely love to meet these characters again in future books." ". . . the blend of folklore with fiction, all while giving the feel of a magical history that our records forgot. On that front, I think this book excelled. This was a world I wanted to explore further, beyond Katya’s story. . ."
"I was absolutely captivated. 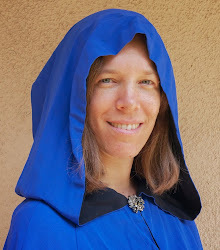 Jessica Leake is such a wonderful storyteller and once again, she brings to life a magical world inspired by Russian mythology. . . . Through the White Wood was a breathtaking, mesmerizing and sometimes gut wrenching adventure. There were so many great characters, some twists and we even got to see our favorites, Ciara and Leif, from Beyond a Darkened Shore. I really hope that we get more stories in this world. 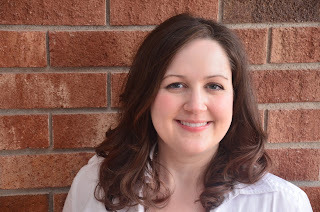 I definitely recommend reading anything Jessica Leake writes at this point." After the horror of what had happened in the village, it was almost difficult to be afraid of what awaited me with the prince. Almost, but not quite. Rumors hammered at my thoughts as the sleigh traveled farther and farther into the deep woods that surrounded my home. People disappearing into his castle, never to return. People with abilities beyond human limits. People like me. Worse still was the knowledge that I went to him having committed crimes whose punishment was death. 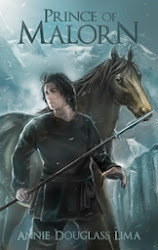 "Through the White Wood is a thrilling young adult historical fantasy that will have readers begging for more. Although it's technically the second in the series, you can read this without reading the first book without any problems or confusion. I wasn't really sure what to expect going in, but at the end it exceeded anything I could've hoped for." We traveled ever farther into the woods, the trees towering above us, snow clinging to their piney branches. I watched animals flee from the oncoming sleigh—birds flitting from tree to tree, squirrels chattering reproachfully, even a fox and hare interrupted from a deadly chase. I imagined myself jumping down into the snow and escaping into those woods, and I went so far as to shift closer to the edge of my seat. I glanced down at the ground, moving so quickly beneath us. I could jump now, but would I manage to stay on my feet? If I stumbled, I risked serious injury. Still, wouldn’t it be worth it to try rather than be brought before the prince like a lamb to slaughter? I moved still closer to the edge, gathering my skirt in one hand. I glanced at Ivan, but he continued to face forward. 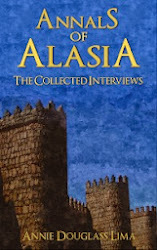 "Through the White Wood by Jessica Leake is the brilliantly told story of Katya and Sasha, an orphaned village girl and a prince. . . . after reading this book I can say I am absolutely adding her to my auto-buy author's list. The author writes very vivid and beautiful stories with such amazing characters and worlds that it's impossible to not fall in love." 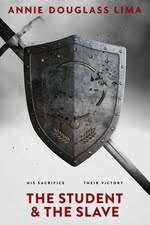 With evil rising around them, they’ll do what it takes to defend the land they love...even if it means making the greatest sacrifice of all. 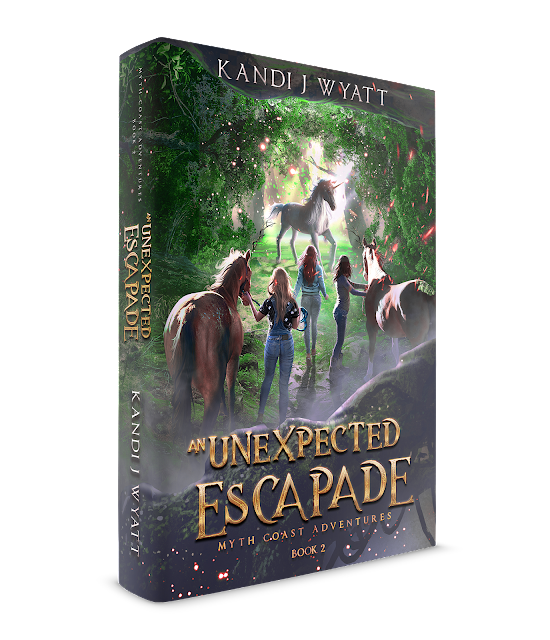 An Unexpected Escapade: a Unicorn Fantasy by Kandi J Wyatt with a Giveaway! A rift in the space-time continuum in the Oregon town of Myrtle Beach allows a unicorn to waltz into the pasture with Daisy Vincent’s appaloosas, but when a poacher shows up, who will stop at nothing to gain the unicorn horn and its tears, navigating junior high suddenly becomes a breeze by comparison. Hello, I’m Winston P. Raleigh, homeland security agent on special assignment here in Myrtle Beach, Oregon. I find it ironic that I go from one Myrtle Beach to another, but let me tell you, Myrtle Beach, Oregon, is nothing like Myrtle Beach, South Carolina. Well, being an agent with homeland security, I’ve had many achievements, but I guess, my greatest is being able to rescue mythical creatures from poachers and give them a home away from prying eyes. Hm, perfect happiness would be for Jack Collins to be behind bars where he couldn’t hurt another mythical creature. Probably add to that a solution for this rift in the time-space continuum, but then I’d be out of a job. So, I guess, just have Jack incarcerated. I’ve been all over the United States as I travel for homeland security. I think my favorite place has been Myrtle Beach, at least, now that I know how to get along with the people. It was a trial at first, let me tell you. These small town folks don’t like strangers poking their noses in their business, even if it’s for their own good. Now, that I’ve learned the key to that, I think I could easily settle down around here. The people wave to you as you drive by, they’re friendly in the stores, and Barry has the best coffee anywhere! Oh, do not get me started. There are several things that I hate. First, it’s Jack Collins. His unwavering dedication to gather all the magical abilities of all mythical creatures at any and all costs drives me nuts. I shiver at what he contemplates, let alone accomplishes. I’ll fight to my last breath to keep him from finding any more mythical creatures. I guess, hate is too strong a word for Charles Hopkins, after all he does pay my bills, but really, the man has no clue what it’s like to be in the field. His no nonsense approach to life doesn’t enable the agent to react to real-life. Besides that he’s abrupt to the point where he’s rude. Sorry, I shouldn’t speak any more on either of these subjects. Fear, oh, that. Well, to be honest, it would be that I’d lose my job and mythical creatures would be harmed in the process. Can we move on? I really feel bad about how this past summer went. You see, I was new to Myrtle Beach and didn’t know how life was around here. I thought people would be the same as they are back east. To say the least I was wrong—dead wrong. These folks are very reserved, but once you get into their confidence, you’ve gained a friend. I didn’t know all this last April when I came and made a mess of a whole case—almost lost my job because of it. Carl Silverton of The Crab Shack still avoids me to this day, and that’s causing some harm in my current assignment. Besides all that, the town of Myrtle Beach almost burnt down because of my fumbles. I’m impressed the citizens didn’t run me out. Now, I need to move along. Looks like there’s another anomaly on my time-space detector. Another creature may be coming through. I’ll chat with you later. to enter a giveaway to win a signed paperback and bookmarks! 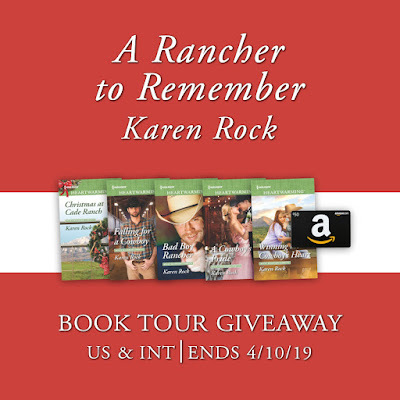 A Rancher to Remember: a Romance Novel with a Giveaway! Welcome back to the Cade-Loveland extended family! Their 100+ year-old feud is finally over, the water rights dispute settled, and now they can live peacefully, right? Oh... if only it were that simple... Lots of drama still ahead for these strong, faithful and hardworking ranchers in the sixth book of my Rocky Mountain Cowboys series, a raw, complicated second chance love story with a dramatic plot twist you won’t forget! 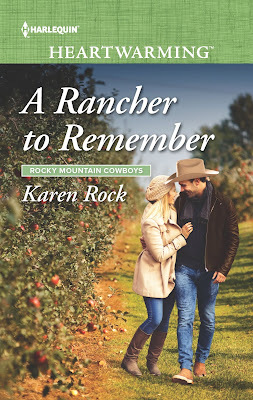 "A Rancher to Remember by Karen Rock is a great book to get sucked into. Cassidy and Daryl have a great love story, one that can bring a person to tears. 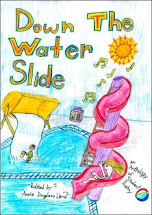 I am giving this book a five-star rating and recommending it to everyone that reads clean romances. I adored this story." "A Rancher to Remember boasts bursts of white-knuckle action, two hurting kids, and a potential second-chance romance soaked in grief and regrets. . . . 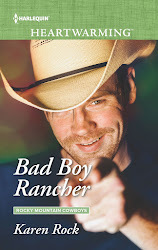 If you enjoy steamy kisses, good folks, and healthy doses of conflict (and reconciliation) in your stories, A Rancher to Remember fits the bill! There’s never a dull moment with the Cade and Loveland crew and this is yet another entertaining addition to this series." "Oh, I just love this series! . . . Daryl and Cassidy seemed so perfect for each other in some ways, yet polar opposites in others. I truly wasn’t sure how the author was going to pull this happily-ever-after off, but she did! I enjoyed reading this story from the first page to the last!" 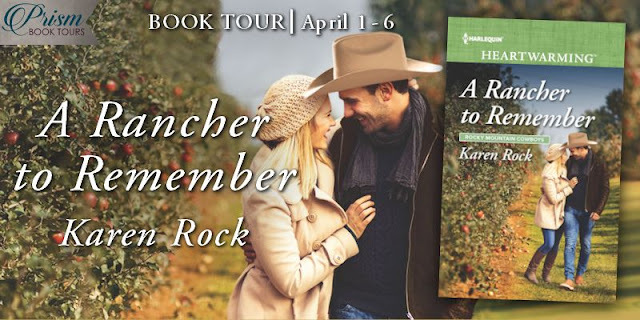 "A Rancher to Remember was a heartbreaking read of love lost and found and of letting go even when it is too soon. . . . This story brings out a lot of emotions and it really digs deep to bring out the hopefulness and longing of what good could come out of this tragic outcome for this family. You might just want to have a few tissues ready." "I love how there are moments when each of the main characters react with extreme anger because that is how grief works. It doesn’t matter who you’re mad at; you’re just mad because the loss you experienced isn’t fair. Grief is hard work, and I think the author does a great job of showing us just how real these characters’ emotions are. The way that the story plays out is very believable as is the romance between the main characters. I really think you will love this book as well as the others in the Rocky Mountain Cowboys series." 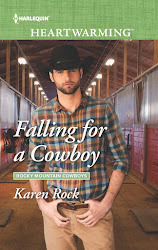 "With her Rocky Mountain Cowboys series, Karen Rock has become one of my favorite authors in the Harlequin Heartwarming line of clean romances. . . . The characters and back stories of these two families are intricately woven and their “happily ever afters” are not easily won. 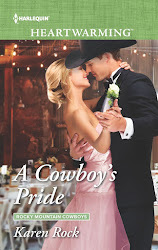 Aside from the obvious cowboy attraction, what I like most is their humanness – weakness, pride, and misunderstandings, tempered with caring, sacrifice, kindness and love. . . . I recommend A Rancher to Remember, as well as the whole series, to all who enjoy a clean romance with character depth." 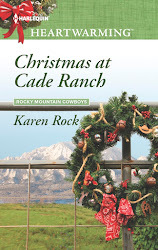 "The reader is immediately swept up into Karen Rock’s romance, A Rancher to Remember, as Cassidy Fulton risks her life to expose corruption in the Philippines, and the intrigue continues as she struggles to attain the missing sections of her memory after returning to her hometown of Carbondale, Colorado." 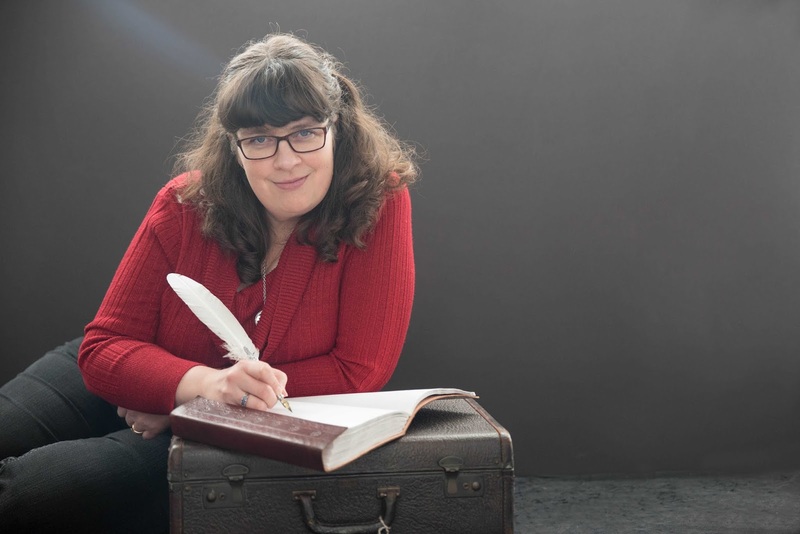 "Whenever I am re-visiting either the Cade's or the Loveland's, it doesn't take long to notice how well-versed Ms Rock has become in writing these stories! Each new installment is an extension of the whole series. . . . This time round, I thought it was fitting we were swinging by the Loveland ranch. 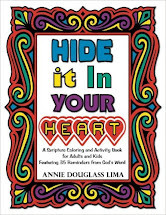 . . you might need to brace yourself to transition through a new set of adversities or incidents that might push your beloved characters to the edge of what they can personally handle. 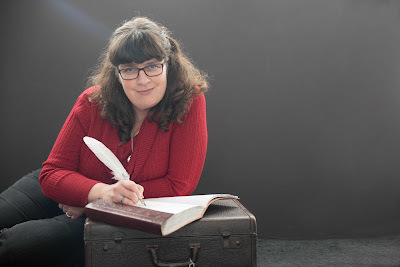 All with the joy of knowing that in the end, Rock will give her characters a fitting sense of resolution and will give us, the reader, a wicked good read!" "A Rancher to Remember has everything you want and expect from a second chance romance. There’s grief, pain, restoration, romance (of course), kissing (swoon), and so much more. Both Cassidy and Daryl certainly have their flaws, but to be honest that just makes the story even better." 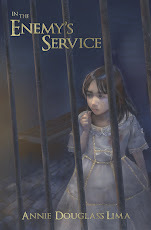 "An emotional journey of forgiveness and redemption! 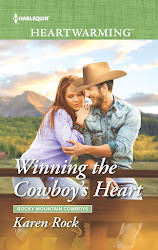 With her signature way of wrapping a group of characters around our heart, Karen Rock brings us the next book in her Rocky Mountain Cowboys series. . . . 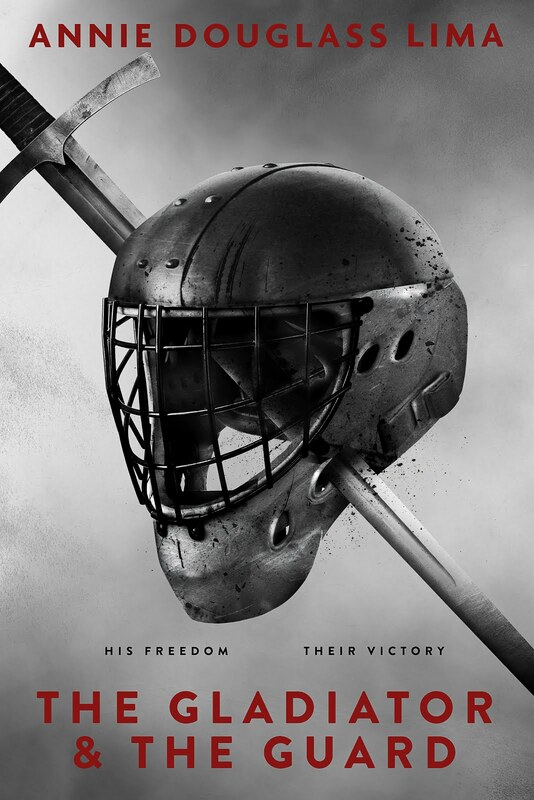 Loved the raw emotions brought to the surface with this cast of characters!" "I lovey lovey love this series! . . . It was a roller coaster of emotions and wow, did things end in a dramatic way! This book and it's characters were completely different than any of the other books. It felt fresh and exciting. I loved it!" "I really enjoyed the book. . . . I have enjoyed all the books in the series. I look forward to reading the next book. . ."
"This story had great characters (Cades and Loveland families), clean romance, funny, and some sad tragic life events that the characters had to work thru with faith and diligence. 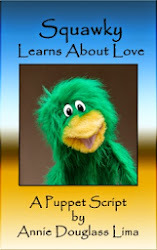 I highly recommend this book and hope to read more from this series and author." "This book was truly heartwarming as we follow the two main characters as they work through their own issues individually and together. Noah and Emma (Daryl and Leanne's kids) were just precious and the icing on the cake- there were so many adorable and lovely scenes with the two of them. I love the personal and romantic journeys in this book and highly recommend as a story of beautiful second-chance romance." "Y’all, Rock blew me away with this book. . . . A Rancher to Remember surprised me in the best kind of way with Rock’s ability to deliver solid stories with tough issues, family ties that are almost unbreakable, and lots of heated kisses for the romantic in her readers." "A Rancher to Remember is a story full of heart. Family, betrayal, second chances… It’s got a few surprises and plenty of great moments, and I enjoyed it all. " ". . . this one does not disappoint. I loved Daryl and Cassidy’s story. I thought they were so sweet and fun together. I found their chemistry was undeniable. I had no problem to stay focused on the book and keep reading. I had it read from cover to cover in one day. . . . Great book!"